Videofest is an open-call feature of short film and video work by regional producers. Presented to the public in a social and appreciative atmosphere, the one-day festival is a showcase of known and unknown talent alike. All entries received will be shown, and a panel of judges will select one work to receive the title of “Best in Festival” and a $300 cash prize. All submissions must be at the gallery by 5:00 pm January 12, 2015. 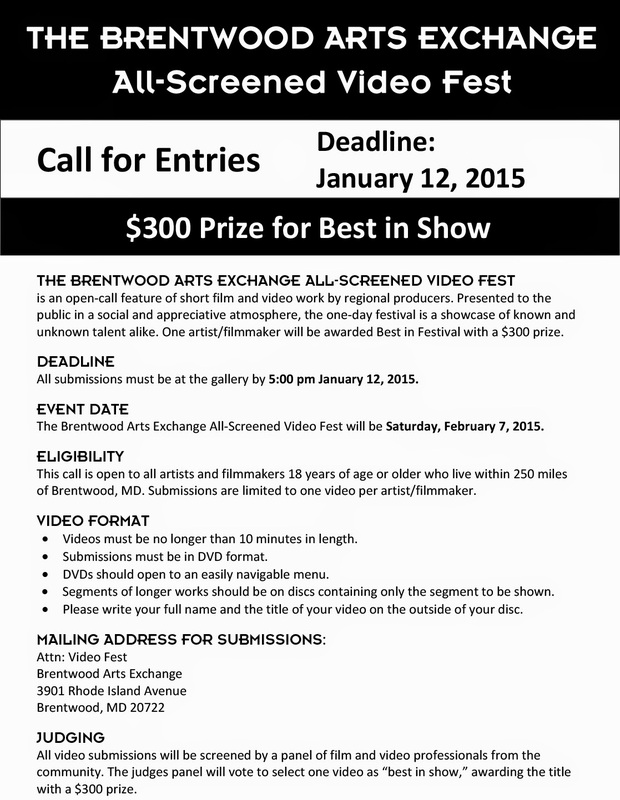 The Brentwood Arts Exchange All‐Screened Video Fest will be Saturday, February 7, 2015.
of Brentwood, MD. Submissions are limited to one video per artist/filmmaker.